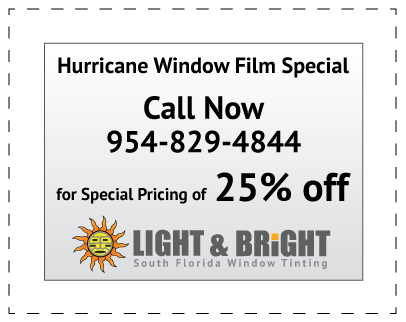 Don’t delay, save even more money by choosing Light and Bright Window Tinting to install window film in your home, office or business. Not only will you save money on energy costs, but for a limited time you can now save money on the installation. Serving Fort Lauderdale, Miami and Palm Beach.